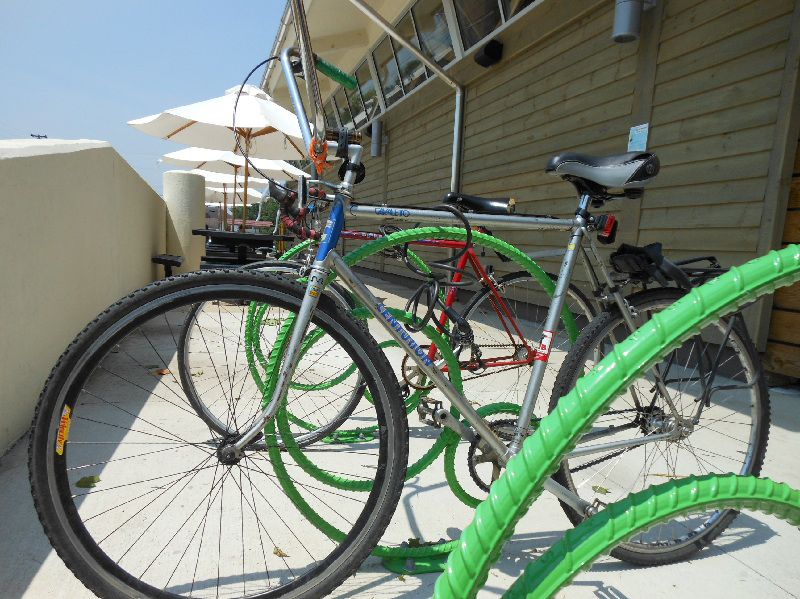 Three Rivers Market is proud to host Knoxville’s first bicycle Fix-it Station. The station has a pump for your bike tires (Presta and Schrader valves) as well as a variety of bike tools tethered to the stand with cables. You can tighten your handlebars, adjust your brakes and make other small tune-ups – thanks to a partnership with our friends at Tennessee Valley Bikes! 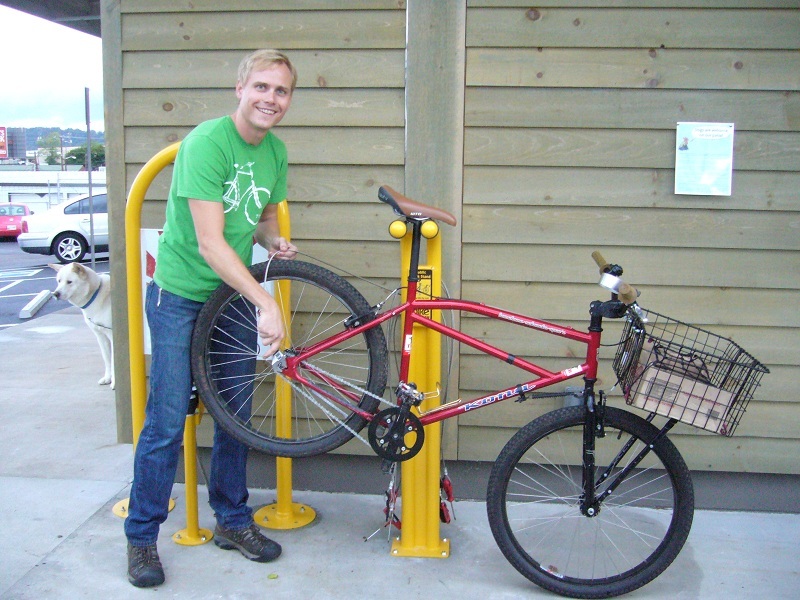 Ride your bike to the co-op and lock it to one of our many green bike racks located at the front and rear of our patio.